Invoicing made easy with credit card payment; seamless integration with our CRM and Bookkeeping. You can setup billable item and price to create invoice. At the time of creating invoice, software allows you to override price. smartofficeCloud will automatically generate increm- ental invoice number. Invoice can be printed anytime that you would like. Invoice can be printed directly to your printer or can be created as a PDF to email your customer. Invoice can be customized to show your company logo. 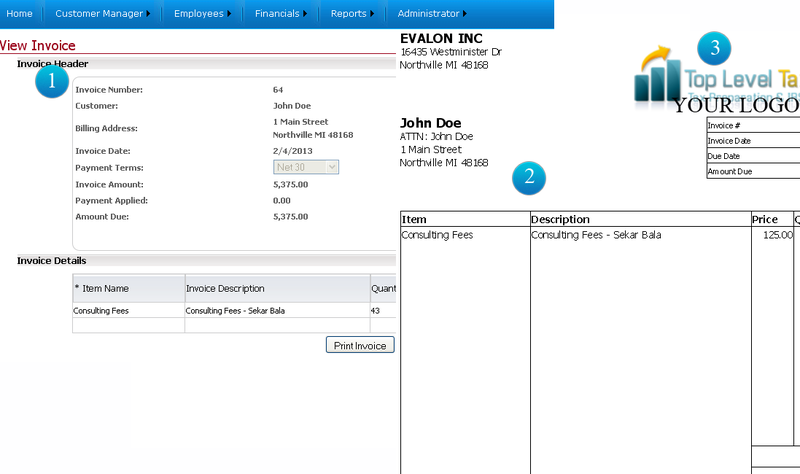 Footer of the invoice can be customized to show your company specific information, this feature is not shown in the screenshot provided in this tour.